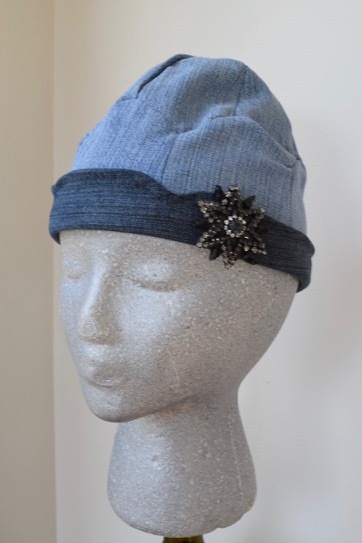 This cute hat uses recycled denim, cut up your old jeans and make them into something fun and new! I have a large pile of old denim jeans for making unique sewing projects. 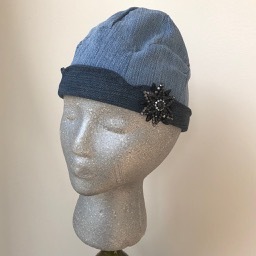 This cute hat is made from a Simplicity pattern for the Cricut Maker. Using denim in the Cricut machine was a bit of a challenge, but it worked out quite well. 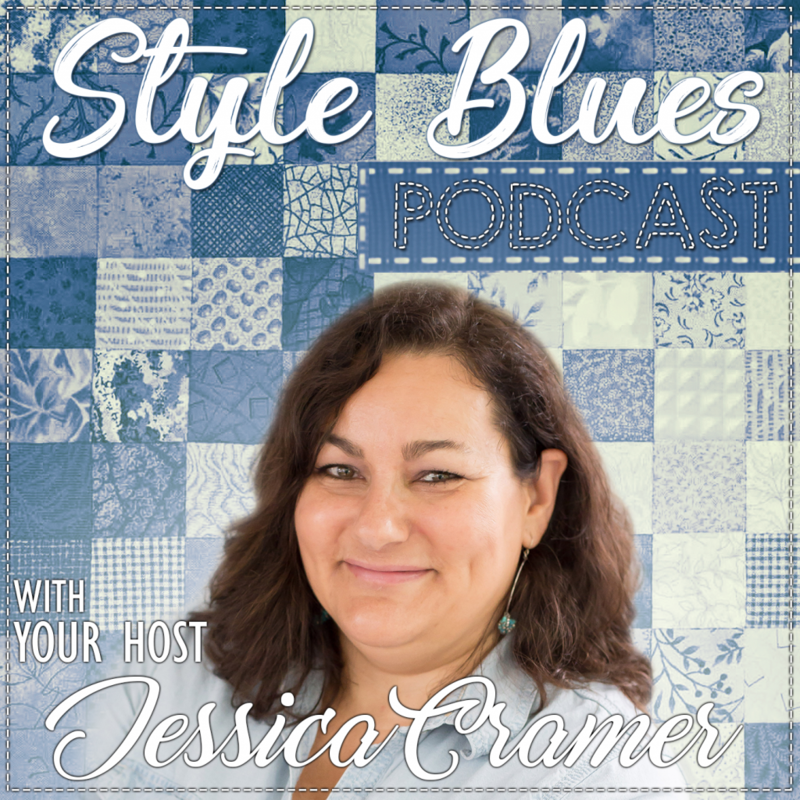 Thanks to Cricut and Simplicity for sponsoring this post! Curious as to how this works??? Read on! 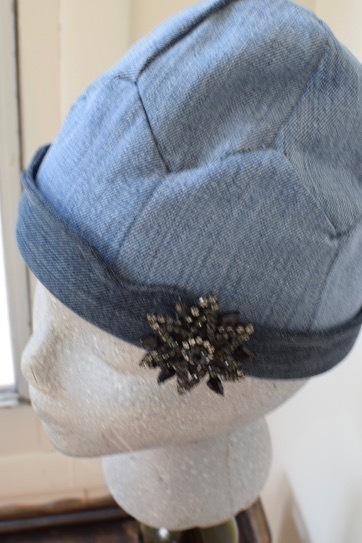 Purchase the Simplicity Woman’s Hat pattern and print off pdf sewing directions. Cut the legs off of the jeans. Cut the legs open along seam line, remove extra seam leaving a smooth fabric for the machine to cut. It was helpful to look at how the pattern pieces will be cut on the mat by previewing the pattern before you actually cut. Cut the light colored denim first for the top and sides of the hat. 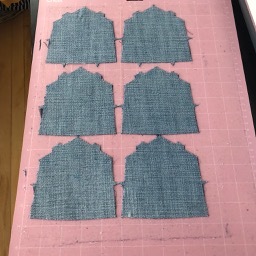 Cut denim fabric to size as per pattern directions. Lay the denim WRONG side up on the fabric mat, press in place with a roller or by hand to smooth out any bubbles. 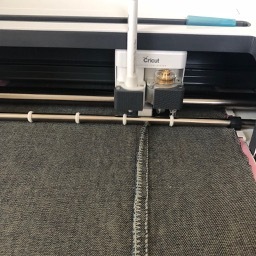 Insert the mat into the Cricut, be sure to select the HEAVY DENIM FABRIC setting when cutting. Remove mat and cut pieces. Clean mat with the scraping tool before applying the next fabric, the denim sheds a lot of debris when cut. 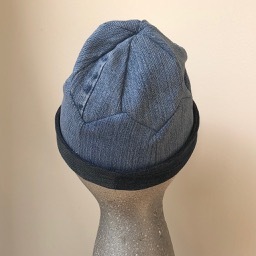 Next cut the sides of the hat as directed by the Cricut design space, again use the light colored denim. Cut the dark denim last, for the hat brim. 1. Keep the mat clean so the denim will stick to it. I found that when the mat was dirty it wouldn’t hold the fabric in place. Using a new fabric mat seemed to work the best. 2. 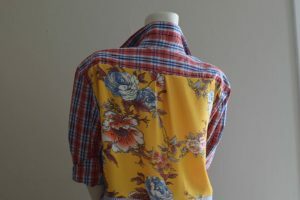 Try to position any remaining seams so the are between the pattern pieces as the machine cuts it. 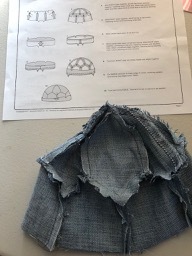 The Cricut was able to cut through about 70% of my denim seams, I did have to restart it once or twice because it got stuck on the thick fabric and cut through the rest of the seam by hand with a scissors after the piece was removed from the machine. The Cricut does an amazing job cutting, asking it to cut through such thick, heavy material repeatedly is probably not the best use of the machine. Cricut sponsors me to go where no user has gone before, and I enjoy pushing my machine to the limit of it’s capability. Please, just be aware that if you decide to cut through impossibly heavy seams you could potentially risk having damaging your machine. 3. There were some denim fabrics that cut easier than others. Fiber contents are all different, and behave differently in the Cricut machine. You may have less trouble cutting thinner, stretchy denim than the old fashioned thickly woven denim fabrics. 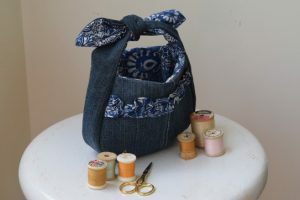 I used the heavier type denim for this project because that’s what I had available. 1. Stitch the side seams together from the 1 and 2 the pattern pieces by placing a #2 in the middle and attaching piece #1 on either side. End seam at the circle at top. 2. Repeat for the back side of the hat. 3. 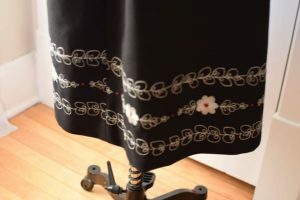 Stitch front and back together, ending seams at circles. 4. Sew the sides of the hat together using piece #3, and attaching piece #4 on either side stopping stitching at circles. Repeat for the back side. 5. Pin top of hat to the sides, matching circles and dots. Stitch together to form crown of hat. Press seams open. 6. Assemble brim, sew center back seam together. Repeat for facing (I did not use any interfacing because the denim was plenty sturdy). 7. Sew brim pieces with right sides together. Turn right side out. Press. I added a row of top stitching 1/4″ from top edge for a crisp look. 8. Apply brim to WRONG side of hat, matching notches. Stitch. Turn brim to outside of hat. Press in place. 9. Tack brim in place at center back seam if desired. This hat was a fun project. It is a rather small size finishing about 22 1/2″ around. 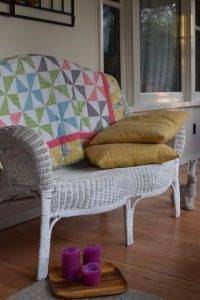 When I make this pattern again I will cut a few extra pieces to add to the sides and crown to make it larger. 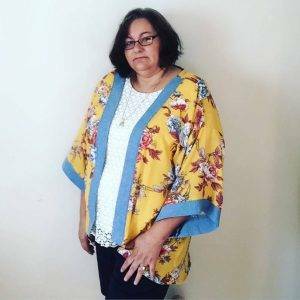 The originally Simplicity pattern called for fleece fabric which has a bit more stretch than the denim. To add to the fun hat, I pinned a vintage broach on the brim. Thanks to Cricut and Simplicity for sponsoring this post! 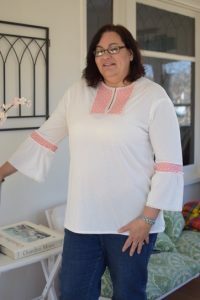 If you are a blogger and are interested in the Cricut affiliate program, click here.